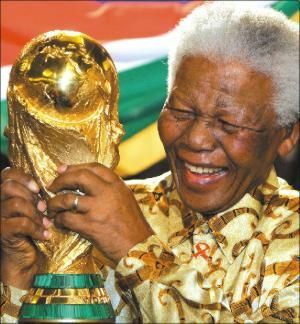 This is Madiba’s birthday today! Rohihlahla, the “trouble maker” is celebrating his 92nd birthday! 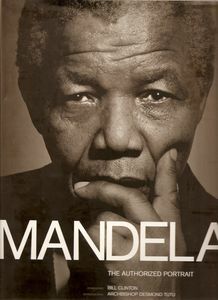 “One of my favourite images of Madiba is one that graces the front and back cover of a book entitled "MANDELA; The Authorised Portrait" (published by Wild Dog Press). In it he looks squarely into the camera with his chin resting on his hand, the thumb nestled against his left cheek and a finger just covering his lower lip. But it’s the look in his eyes that gets me. His eyes are brimming with wisdom, filled with a deep knowing of life and all its tribulations. His eyes tell you that he knows suffering and anger, love and loss. His eyes say, "I stared evil in the face and I won." They are eyes of patience, eyes of strength, eyes of greatness. 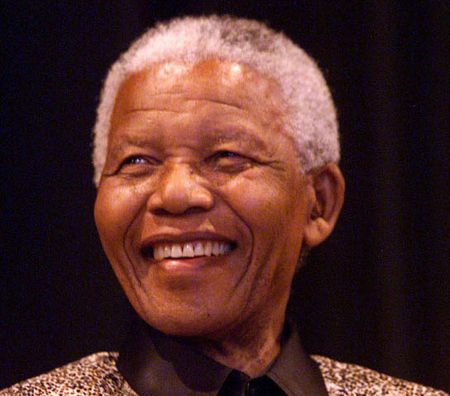 Commentaires sur HAPPY BIRTHDAY MADIBA ! We keep on working on it! Good luck for your paper.